Tree planting has an immensely positive impact on our environment. Today, plant a tree for the Earth! Today is Earth Day! Each year on April 22nd, more than 1 billion people globally celebrate our planet and participate in Earth Day activities. Planting a tree on any day is a reason to celebrate, but when you plant a tree on Earth Day, you are getting outside and joining the largest civic observance in the world. Atlantic Maintenance Group is here to fill you in on just some of the many amazing benefits of tree planting. Not interested in planting your own tree? Don’t worry, you can contact us to do it for you. With the hot summer months ahead of us, couldn’t you afford to save money on your air conditioning and cooling costs? When you strategically plant trees around your home, they can reduce your need for summer air conditioning by up to 50 percent. Not only will this lower your energy bill, it will drastically reduce your carbon footprint. Trees provide a barrier between rainfall and the ground that allows water to flow down the trunk and into the earth below the tree. This reduces runoff and prevents stormwater from carrying harmful pollutants to the ocean and nearby water sources. 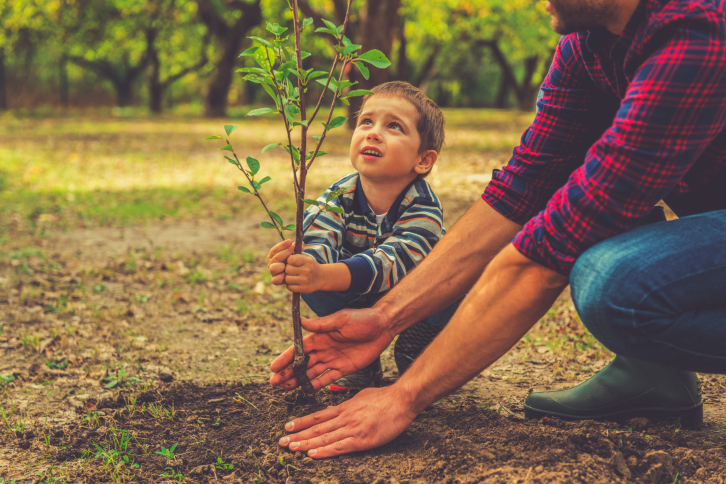 According to Tree People, “When mulched, trees act like a sponge that filters this water naturally and uses it to recharge groundwater supplies.” Interested in more amazing benefits of tree planting? Click here. This entry was posted on Friday, April 22nd, 2016	at 6:53 pm	and is filed under Blog, Tree Care	. You can follow any responses to this entry through the RSS 2.0	feed. Both comments and pings are currently closed.